One of the best parts about being an engineer at Ippon is the investment that Ippon puts into growing the skills of its employees. We are given the opportunities to become experts in different fields and technologies. As we grow and become experts we are encouraged to publicize our expertise to become thought leaders in the community. The benefit of these publications is mutual. We are improving our personal marketability and skills, and at the same time, we are providing Ippon the ability to market our talents to potential clients. Ippon supports this “Thought Leadership” model by providing incentives and time for completing or participating in thought leadership activities. These activities include coding dojos, blog posts, meetup presentations, white papers and conference talks. 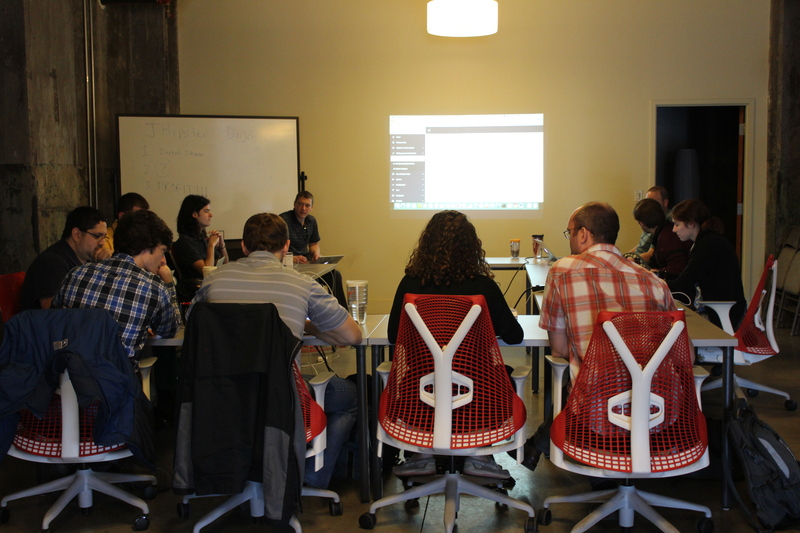 A coding dojo is where all the engineers at Ippon get together for a very fun day of hacking with a new technology. The leader of the dojo is an expert of a topic who directs the events for the day, while everyone else gets their hands dirty trying to build something with their teammates. This is especially fun because it is a working day away from our clients. So get paid to learn something new with no client constraints? Sign me up! Our last coding dojo we attempted to build a sharing list app using JHipster. If you haven’t heard of JHipster, check it out. It's an incredibly powerful application generator that will create a full stack production-ready web or microservices application in a matter of minutes. At the time of this writing, it also has more stars than Cassandra on github. Huddled around desks for the JHipster coding dojo. Though we do have the occasional culture article (AHEM), we actually fill our blog with lots of helpful technical tutorials. I personally found this one useful - a three part series on using Apache Spark, Avro and Kafka. Or learn about the latest version of JHipster which introduces microservices. Almost all of our employees contribute to the blog. And we actually have a little competition going on between teams to see who can write the blog post with the most views. After writing about a topic, our engineers include their publications on their resumes to highlight their expertise. 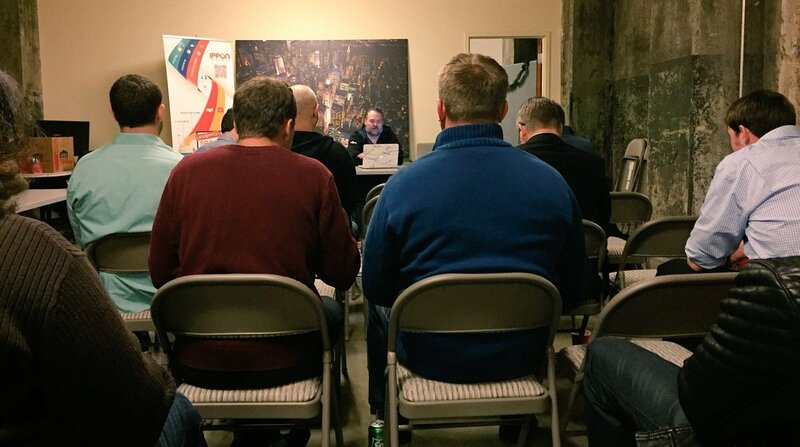 Bringing it up a notch, Meetup presentations are a surefire way to ensure you know a topic backwards and forwards. Although getting up to speak in front of a crowd isn’t my favorite thing to do, I value the positive pressure to do one every once in awhile. Many of the engineers at Ippon are “swiss-army knives,” able to tackle any problem across many different technologies. However we still have our specialities. Topics of past presentations have included Spring Boot, JHipster, APIs, Cassandra, and other Big Data topics. Josh, one of Ippon’s best Senior Engineers, giving a presentation at the Ippon Technologies Meetup. Expertise in the written form, our white papers aid readers by breaking down a complex problem or technology. Ippon provides engineers extra incentives as well as the time to complete these white papers and publish them free to download to the community. Check out our white papers here. Want to go to a conference for free? Give a talk! At Ippon, we strive to extend our expertise internationally by speaking at conferences. Like most other thought leadership activities at Ippon, speaking at a conference is rewarded including the paid time to prepare for your killer performance. Additionally, Ippon sends their engineers to conferences each year which proves to be an awesome experience for learning and networking with smart people in our field. Some photos from Chris Anatalio’s visit to JavaOne in San Francisco. These opportunities come hand-in-hand with a positive encouragement to participate. At other companies, they might provide “$300 dollars of training per year,” or “1 conference per year,” but it is up to the motivation of the engineer to capitalize on that. The culture at Ippon puts people in the spotlight, pushing personal boundaries to influence people to do things they wouldn’t normally do, like give a big presentation at a meetup group. It may be scary when it happens the first time, but we are better off in the end, and we appreciate the pressure afterwards. If you are a smart engineer and you would appreciate having these opportunities, check out our open positions! We would love to talk to you.